When you purchase homeowners insurance coverage, there are limitations pretty much for everything as it basically covers the standard amounts depending on the various situations of the loss. The Texas Homeowners policy standard only covers $500 for the theft of jewelry, watches or even furs. If you have a few or some nice items that you want to be sure are covered for replacement, you might want to purchase additional coverage for these items. Heaven forbid, but if your home were to burn down, your items would be covered based on the specific terms of the homeowners insurance policy similar to the contents limits. However, as noted above, if the loss was due to a theft, you are more limited for the replacement. It is strongly recommended to purchase additional coverage in these cases – if you have several pieces of expensive jewelry, furs or watches. Your coverage can be extended up to $5000 for the case of theft from your home, which hopefully should cover your possessions. There is also another type of coverage, called a Jewelry Floater. This would be ideal if you have a specific piece of jewelry or a watch that you would be concerned in the even of a loss. Again, this only covers one specific piece of jewelry, like a wedding ring of antique piece of jewelry. The advantage of this Jewelry Floaters is that the coverage is All Risk of physical loss which means that if you lose it, break or ship a stone, damage or break the clasp, the Jewelry Floater will cover that piece of jewelry for the amount that it was insured for. Your Homeowners Insurance alone will not cover the loss of a stone/diamond in your wedding ring, for example, but the Jewelry Floater would. Again, with your standard home insurance – the added coverage up to $5000 wouldn’t cover that same situation (loss of stone in your wedding ring) and still, it only covers the standard policy perils such as fire, lightning, theft and the like. We always recommend that if you have high priced jewelry, or any possessions to be appraised at least 2 years and keep those pictures, descriptions and appraisals in a fire proof safe or lock box in case of a claim, it will be readily available. You never know when theft or accidents strike, so a great idea to keep the documents, or a duplicate set, offsite in the event the safe was stolen or damaged. It’s important to have the right coverage for your situation and you may not know all of the benefits, different supplements to your policy available which is why Paula Smith Insurance is happy to review your situation and your policies with NO pressure to buy. We want you to have the coverage that is right for you whether you are doing business with us or not. It’s the right thing to do. As always, it would be our pleasure to provide you with a Risk Free quote and a resource about all of the intricate details of home, motorcycle/auto, boat, recreational vehicles and renters insurance policies. Let the insurance experts help you out. 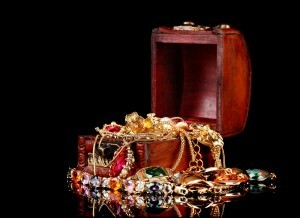 Contact Paula Smith Insurance if you have questions about properly insuring your high valued jewelry, watches or furs.